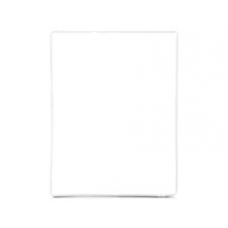 iPad 3 digitiser glass screen frame support in white. This is the plastic bezel edge part around the outside of the touch screen on the iPad 3 this plastic bezel can easily be damaged when you drop the iPad 3. * Original iPad 3 White Bezel.